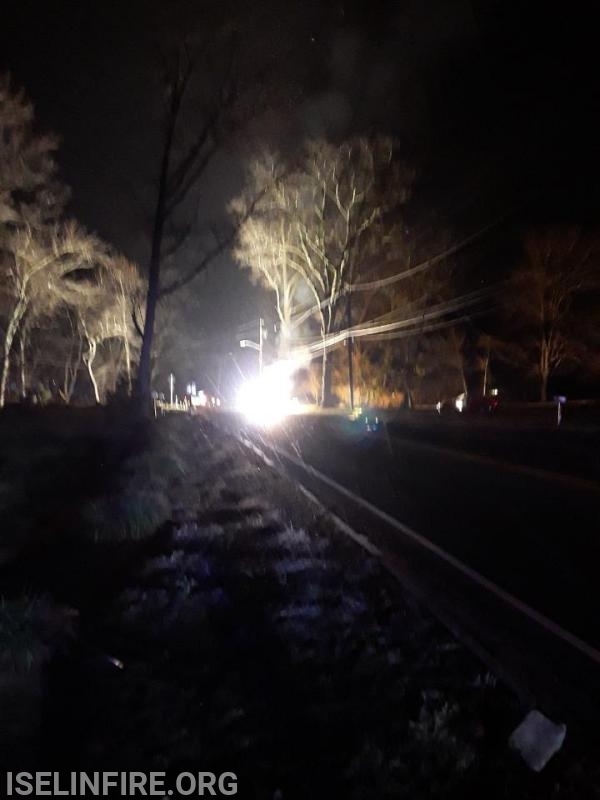 The Iselin Volunteer Fire Department, District #11 was dispatched on January 18 at 00:10 to a motor vehicle accident (MVA) with injures at New Dover Road near Cambridge Drive, Colonia. 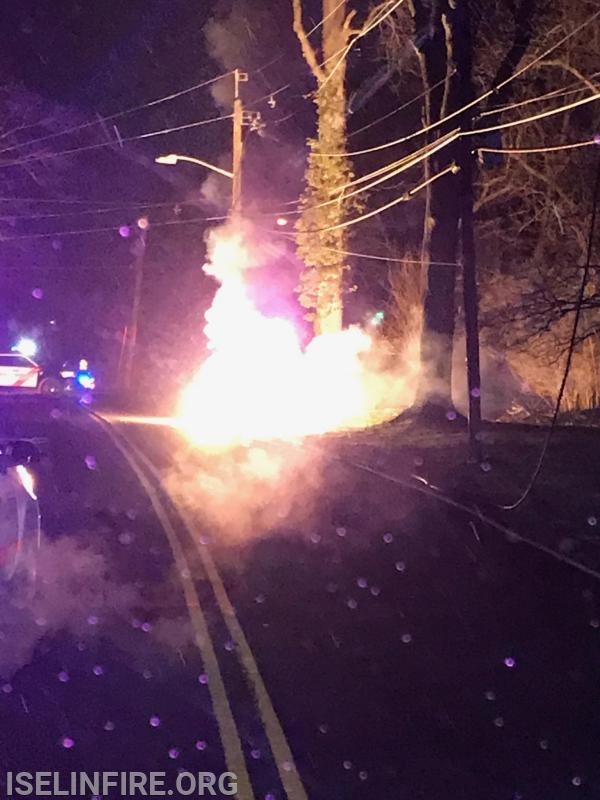 Chief Sojak arrived on the scene and reported there was a one vehicle MVA with pole mounted transformer loose and primary electric cable burning in the roadway. After directing the incoming Engine and Rescue to block the roadway, the Chief talked to the driver of the vehicle, who reported that he was not injured. The Chief asked Dispatch to have the Electric Company, PSE&G to respond to the scene. The Fire Department along with Woodbridge Police blocked the roadway until PSE&G arrived. 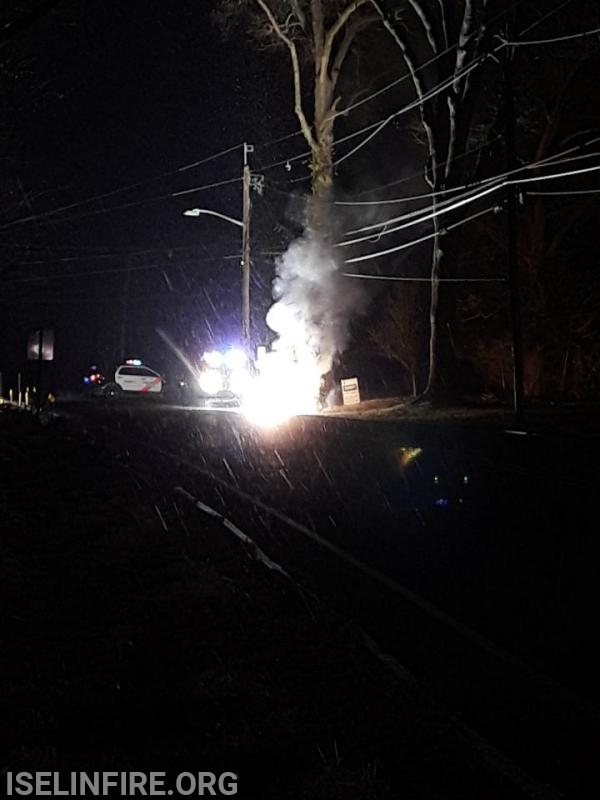 Upon arrival of PSE&G, they cut power to the burning cable in the roadway. The crew from Engine 11-3 used their booster line to put out the fire and cool the roadway. A tow truck removed the vehicle and all Fire Units returned to quarters.